Brandy was was fully conscious by the time she was escorted onto the jetway and she was then taken to the hospital in unknown condition. 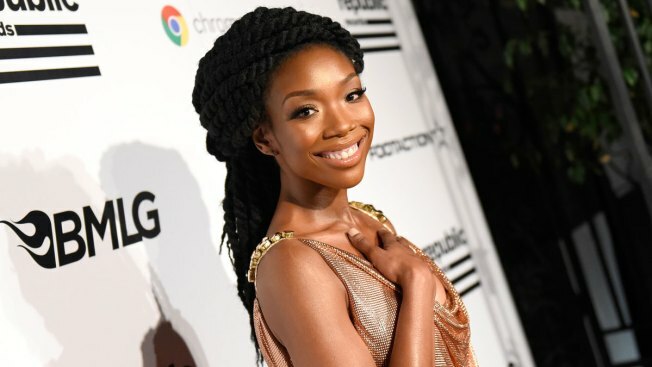 Brandy Norwood has been released from a hospital after passing out at a Los Angeles airport. Publicist Courtney Barnes says in a statement to The Associated Press on Friday that Brandy's rigorous schedule, including concert dates and recording new music, took their toll on the singer. The statement says that in recent days the pop star has taken more than 10 long haul flights and that the Grammy winner was recording music late Thursday night before arriving at Los Angeles International Airport for a 5:45 a.m. flight. The statement says: "The stress of all of the traveling and working so incessantly has exhausted her. She will be relaxing for the next few days."